Alternative to memory foam mattress? I am 5ft 8in weighing 13stone, my husband is 5ft 10in weighing 15stone. We currently use memory foam mattresses (2 x 2ft 6in on adjustable slatted bases). I have knee, hip and back pain, my husband has back and shoulder issues. We find the memory foam too hot. Can you recommend a natural replacement that gives the comfort of memory foam. Thanks for getting in touch. A number of people find memory foam really warm to sleep on. This is because its heat retentive and actually stores heat which allows it to soften slowly and mould to shapes. You have two options for a cooler replacement. 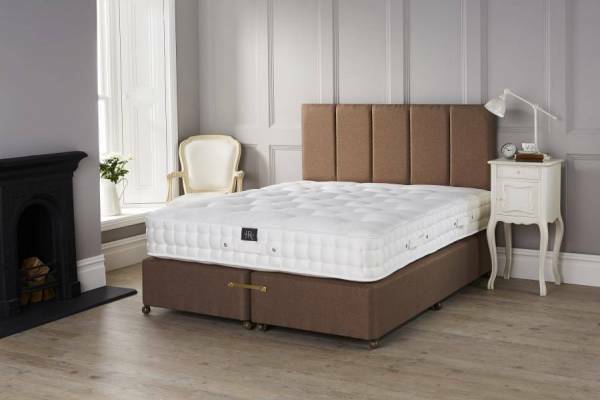 You can either look at a 100% Natural Latex mattress such as our Fusion range. This will give a similar feel to memory foam but with far less heat retention. This is because latex responds to pressure and not heat. It’s also breathable as it’s a natural material. It rebounds really quickly and has a far longer shelf life than memory foam. Our Fusion range is all two-sided and comes with turnable matching 100% Natural Latex toppers. The other alternative is to look at our Artisan range, such as the Artisan Bespoke 004 mattress. This contains 100% natural fibres and has a vanadium coated calico pocket spring unit in it, similar to springs used by Vi-spring and Savoir mattresses. For your weights, we would recommend a medium spring tension. This would give a medium feel in the top layer. If you’re going to continue to use the slatted base it may be wise to follow our advice to board over the slats to save any damage to your new mattress. If you have any further questions please give us a call on 0161 437 4419 so our small friendly team can help.